KBR has announced that it has executed an EPC contract with Yara International and BASF Group’s new joint production company to provide ammonia synthesis licensed technology and engineering, procurement and construction (EPC) to build a world-scale ammonia plant at BASF’s site in Freeport, Texas. Upon completion, the ammonia plant will use KBR’s experienced EPC delivery and technology capabilities, including KBR’s ammonia synthesis process, to produce about 750,000 metric tons per year of ammonia. KBR has been involved in the licensing, design, engineering and/or construction of more than 230 ammonia plants worldwide. Reuters: The revenues of global power distribution automation market, which reached $7.32 billion last year, are estimated to hit $10.33 billion in 2018, according to a new Frost & Sullivan analysis. The ‘Analysis of the Global Distribution Automation Market, said that with power interruptions resulting in huge economic losses of up to $150 billion annually, distribution automation presented a viable solution to ensure effective asset management, minimal interruption, and enhanced efficiency in the grid network. 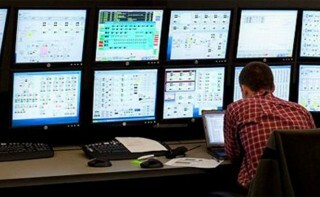 As a result, distribution automation is quickly becoming a requirement for utilities, it said. Power demand and grid complexity will continue growing and utilities across the globe are turning to advanced automated solutions to protect assets, enhance reliability, and minimise operations and maintenance costs. Meanwhile, the high initial costs of automation solutions restrain uptake. Integration of different types of vendors, including information technology providers, communication network suppliers and hardware suppliers is also crucial to create products that prepare automation companies to meet future demand. KBR Inc., a world leader in ammonia technology, announced today that it has been awarded the license and engineering contracts to perform front end engineering and design for a potential expansion of Mosaic’s Ammonia Plant in St. James, La. KBR’s “lean FEED” approach will debottleneck the plant and increase Mosaic’s ammonia production capacity by 20 percent at their plant located on the banks of the Mississippi, just south of Baton Rouge. KBR’s proprietary ammonia technology will be utilized to revamp and expand the original KBR designed plant. Additionally, KBR will provide the basic engineering design and the FEED requirements necessary to produce a final estimate prior to project approval. Edgar M. (Ed) Purvis has been appointed the chief operating officer for Emerson. He will report to Chairman and CEO David N. Farr and will be a member of Emerson’s Office of the Chief Executive. Purvis has served as executive vice president and business leader for Emerson Climate Technologies since 2008. He began his Emerson career in 1983 at the Copeland business unit and has held positions of increasing responsibility at Copeland and Emerson Climate Technologies Refrigeration. Edward L. (Ed) Monser will remain president of Emerson and continue to manage the company’s international business development and growth strategies and global shared service organizations. International sales represented 58 percent of the company’s fiscal 2014 revenue. Monser has been with the company for 33 years and has served as Emerson’s chief operating officer since 2001 and president since 2010. Robert T. (Bob) Sharp has been appointed executive vice president and business leader for Emerson Climate Technologies. Sharp has been serving as vice president of profit planning for Emerson and most recently led the development and implementation of the company’s Perfect Execution strategy. Sharp joined Emerson in 1996 and has held positions of increasing responsibility at Emerson corporate and Emerson Process Management. Frank L. Steeves, executive vice president, secretary and general counsel for Emerson, will also become a member of the company’s Office of Chief Executive. Steeves has been Emerson’s chief legal officer since 2007. Prior to joining Emerson, Steeves represented the company and many of its businesses as an outside attorney for nearly 20 years. Before going into private practice, he served as a staff attorney for the Wisconsin State Public Defender and in the U.S. Consumer Product Safety Commission. Emerson announces it has acquired Stirling, Scotland-based Cascade Technologies Ltd., a leading manufacturer of gas analyzers and monitoring systems using Quantum Cascade Laser (QCL) technology. This innovative technology measures multiple gases simultaneously, helping companies improve industrial emissions monitoring, production efficiencies and environmental compliance.